I always have mine on toast. It must be piping hot, very pale and freshly popped from the toaster. My mum, on the other hand, she likes to have hers fairly dark and cold. We use the toast tent technique to cool it down. How do you have your toast? The Golden Orange Conserve, this is more like a curd rather than a marmalade as I've said. It is very smooth and has a nice orange flavour which is very smooth and refreshing. 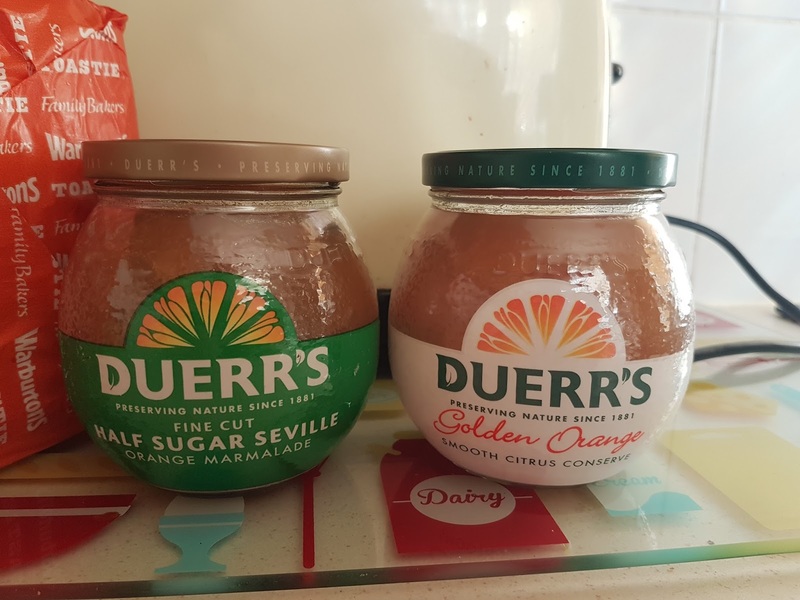 This would be good for people who say they don't like marmalade but like orange flavours and it isn't as tangy as marmalades. It's also shred free so for those shred haters, it is perfect. 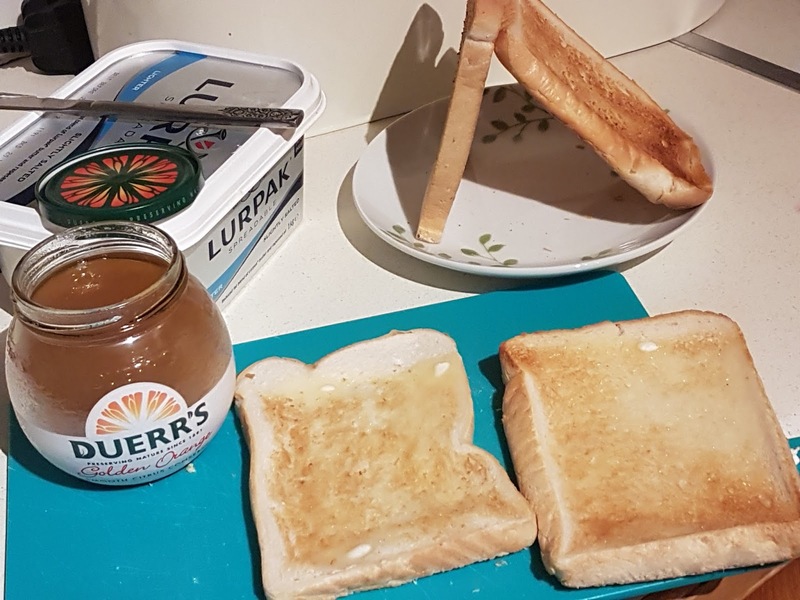 Another thing about how I have my toast is I like to cut the top and bottom crusts off and then cut it in half down the middle! This is a new thing that I’ve been doing over the past few months. I’ve never been a toast in triangles kinda girl. The second jar was the Fine Cut Half Sugar Seville Orange Marmalade, of the two I think this was my favourite. I liked the fine shred in the marmalade, it wasn’t as sweet as full sugar marmalade and I liked the tanginess of this marmalade. I love the shape of these jars, they are astatically pleasing to my eyes and the products inside are tasty and I really enjoyed them. 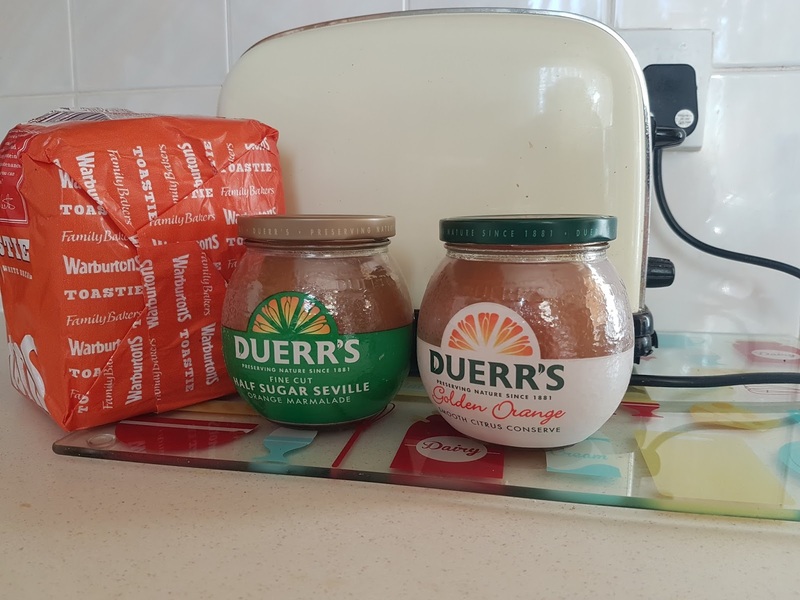 I was sent these product as a sample to try, I have not be paid for this review and all words and opinions are my own. This is the perfect breakfast or light snack for me! It's making me hungry! 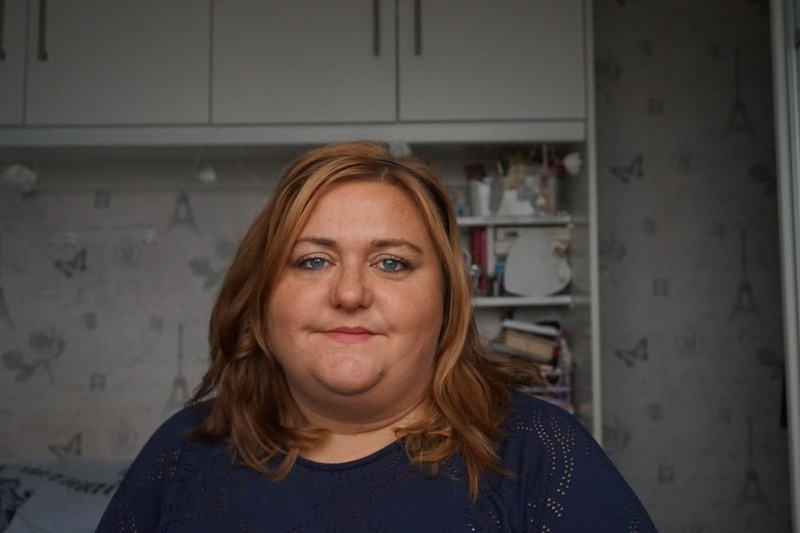 Steph, I have not had marmalade is like ages! I have to try some of this! Thanks for sharing. These sound lovely and I'm definitely with you on toast having to be hot and freshly popped - my dad lets his go cold, too, and I can't get my head round it haha! I haven't had marmalade in forever. Thanks for th reminder - I'm going to buy some today. 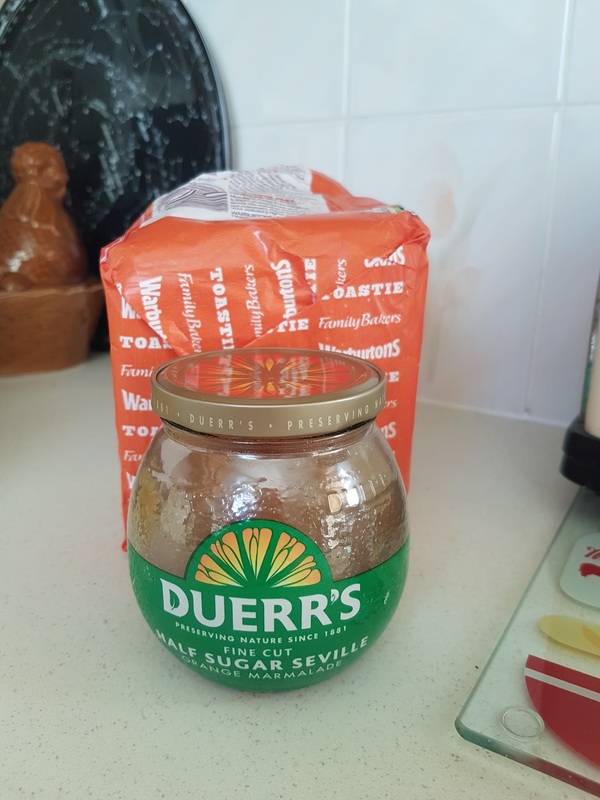 I love Duerrs products and quite like a good marmalade, however sometimes the shred can be a bit bitter or chewy. For this reason I am going to get a pot of the Orange conserve, as I Love a curd too and this sounds like it could the solution to my bitter shred! My mummy's go to breakfast is toast and marmalade and she loves the tanginess of citrus. Might have to give this brand a go! 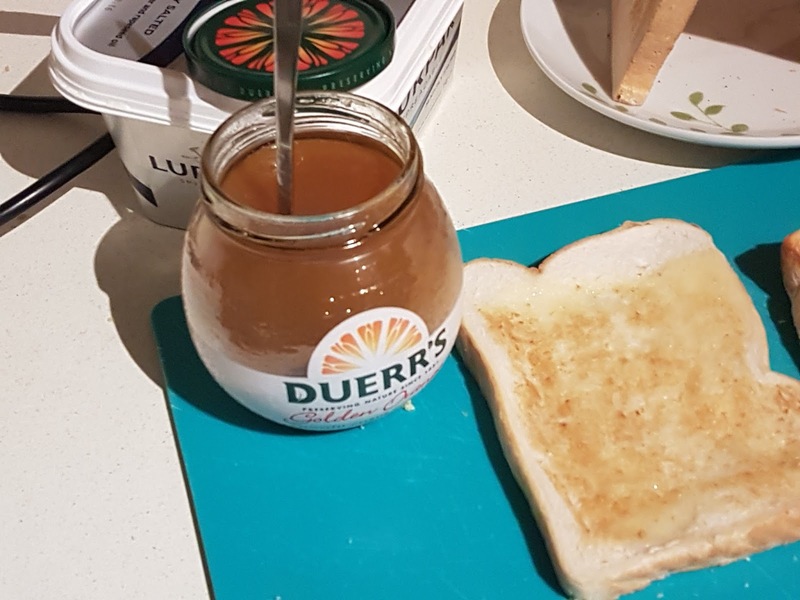 I've always found the taste of marmalade to be too bitter. I might give this one a try though! I don't eat marmalades very often but the Golden Orange Conserve looks really delicious to me! I'd like to give this one a try. 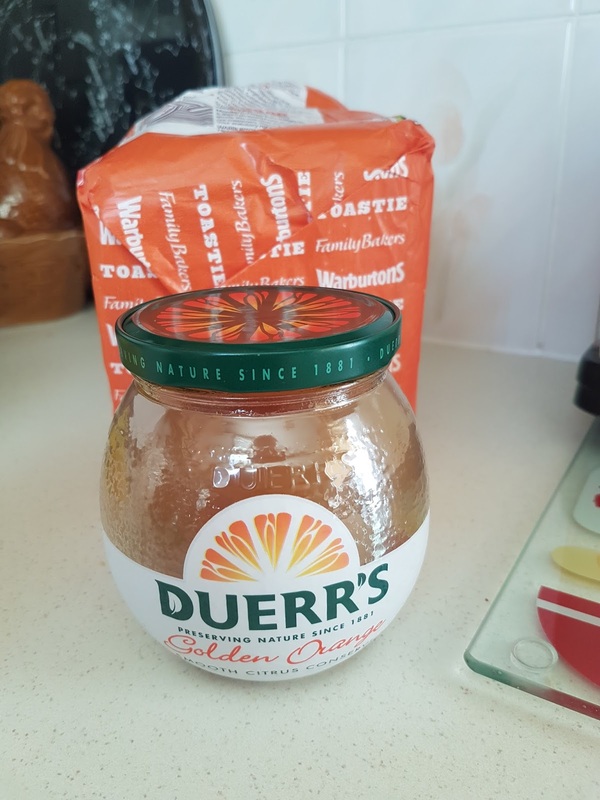 I have not tried Duerrs brand before but it sounds delicious. Now these wouldn't be for me, as I can't stomach anything orange/with oranges in. But my brother would love this on toast! Ooh, these sound great! My dad loves marmalade, so I'll have to tell him all about them. 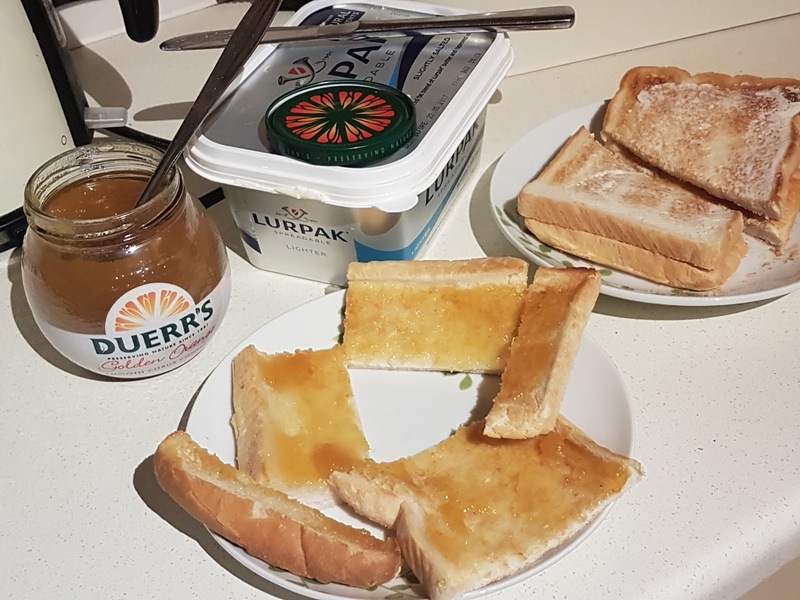 I've not had marmalade in a long time. This pot makes me hungry. It sounds great! 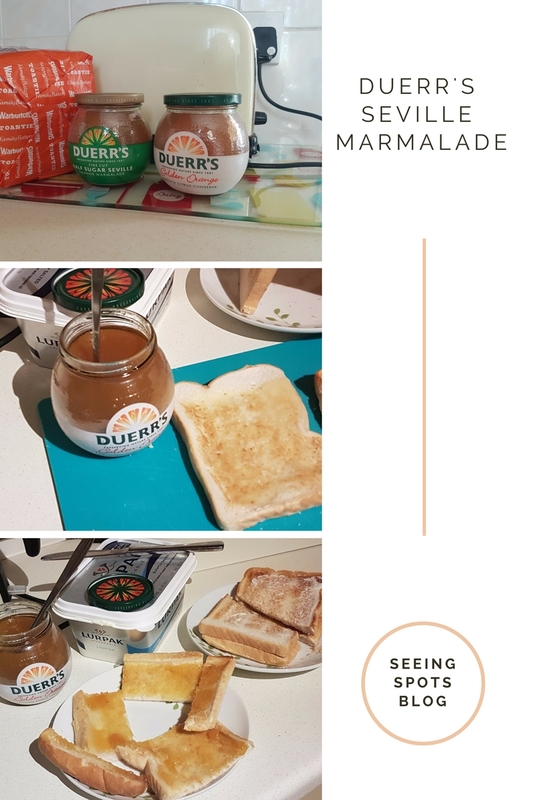 I'm a strawberry jam girl myself but my husband loves marmalade! I love marmalade but I can't find any in Korea! Those jars look really cool!